This Samurai Helmet is replica of a famous Samurai warrior, Masamune Date (1567-1636). 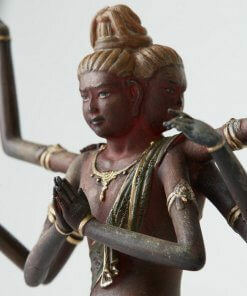 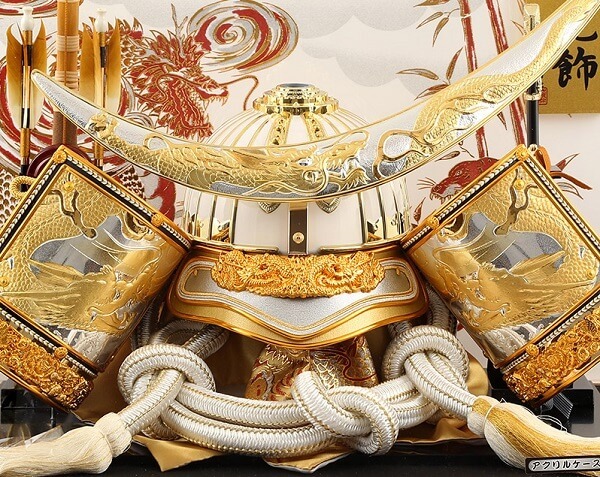 Masamune Date is the seventeenth head of the Date clan. 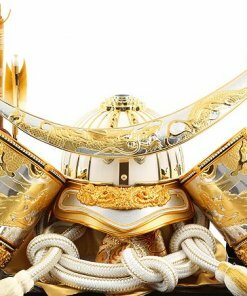 In spite of facing an infamously traumatizing childhood, he rose to prominence as the most dominate ruling power in Ohshu. 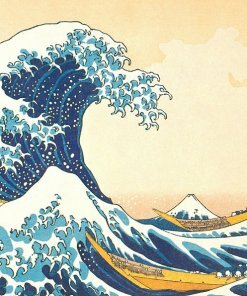 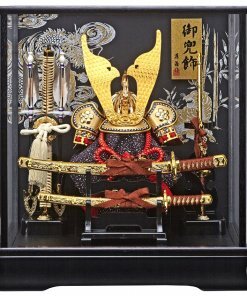 He is reputed as one of the wisest Samurais of the era, biting back his ambitions to stay as one of the wealthiest independent rulers of his time. 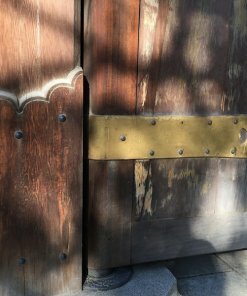 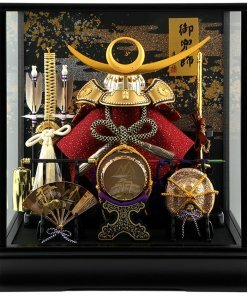 Morif of the crest is the Crescent Moon on which gorgeous gold decorations are made. 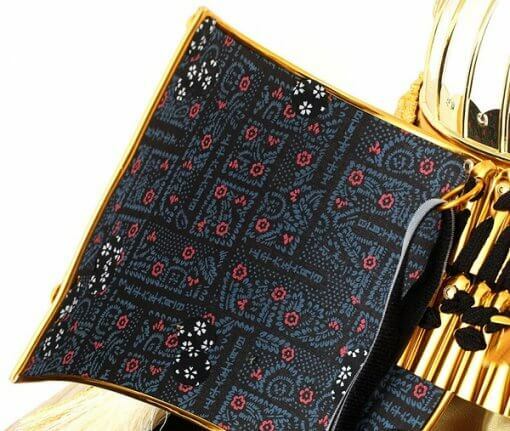 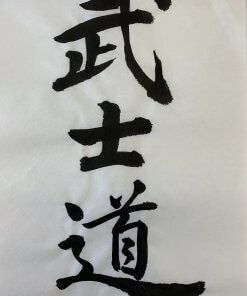 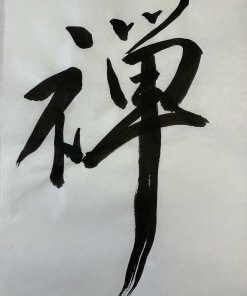 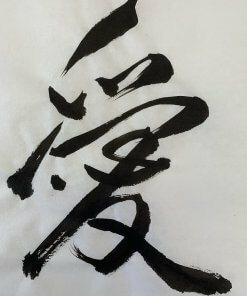 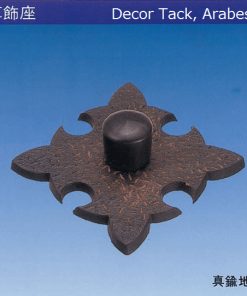 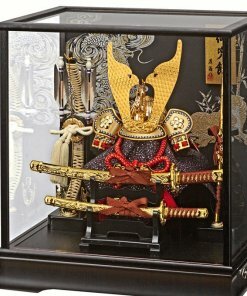 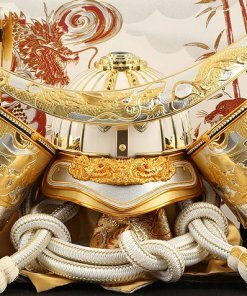 This crest design is a famous symbol of this Samurai warrior. 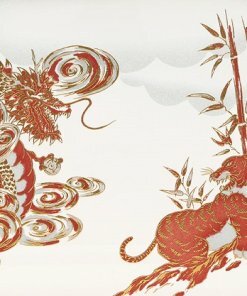 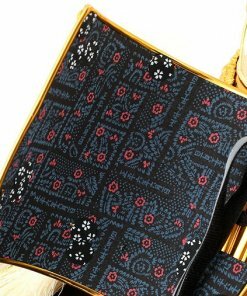 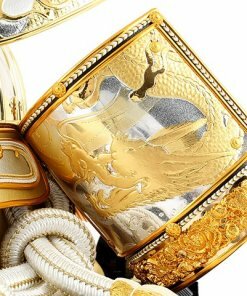 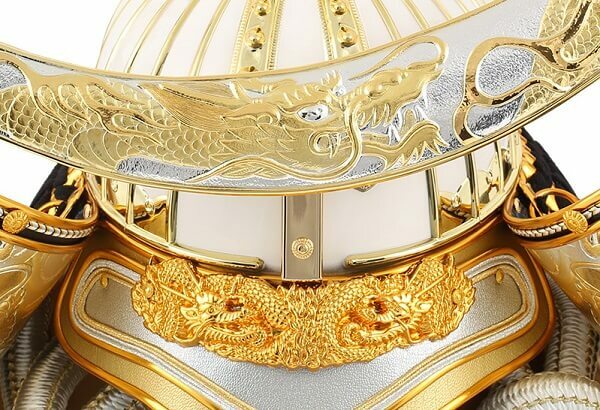 On the wallpaper at backside of the helmet case, Dragon (a symbol of advancement and successful in the world) and Tiger (a symbol of bravery and wisdom) is drawn, which is like symbolizing Masamune Date’s charisma. 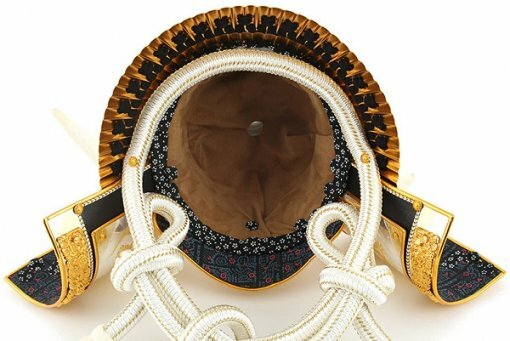 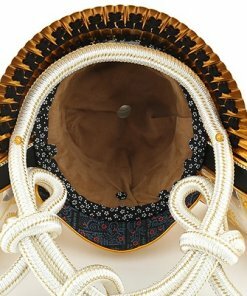 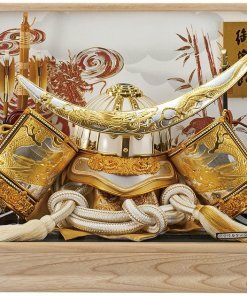 The helmet is designed with base colors of white and gold, which represents noble and strong character of the greatest Samurai warrior Masamune. The helmet is in a durable hexagonal acrylic case. 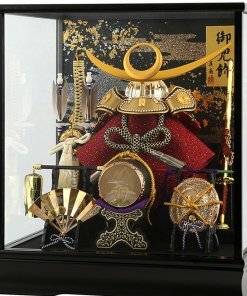 You can take is out from the case and display without it. 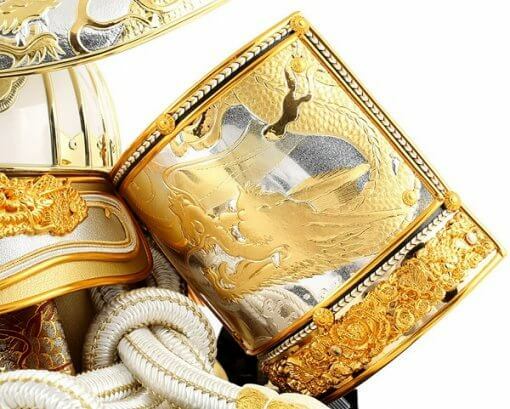 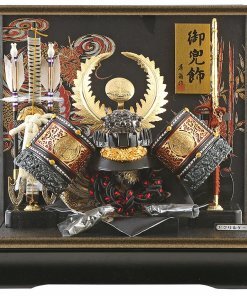 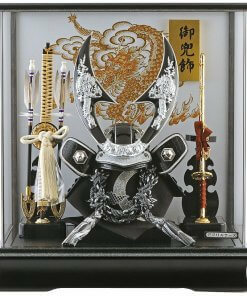 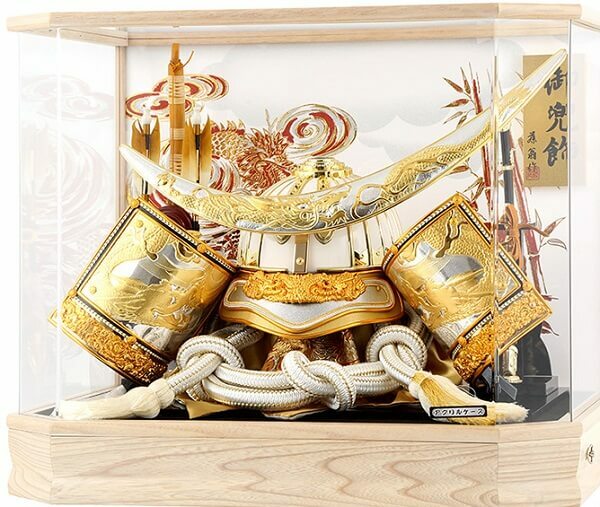 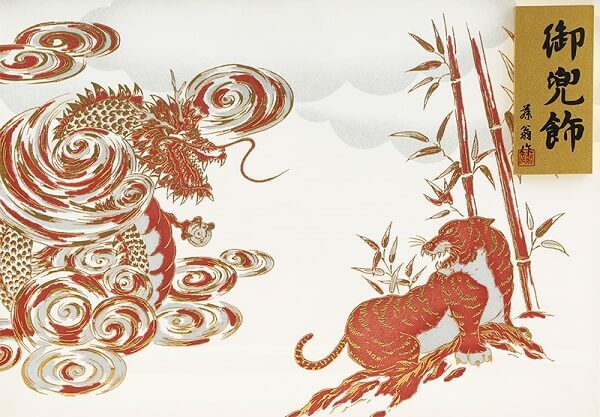 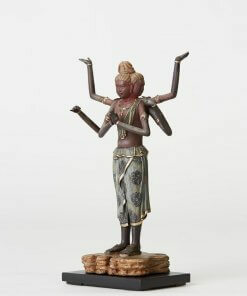 Bow and sword made of bamboo is included with this item, along with a wallpaper on which Dragon (a symbol of advancement and successful in the world) is drawn. 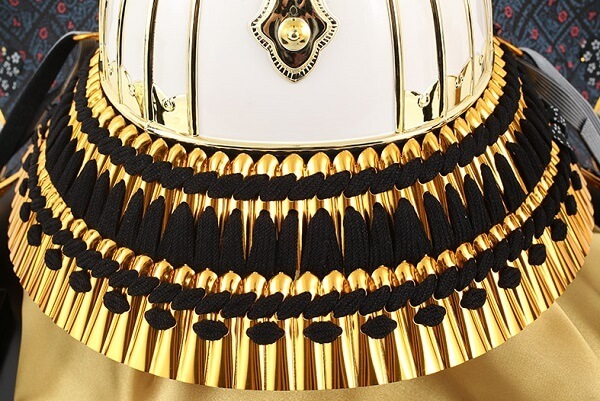 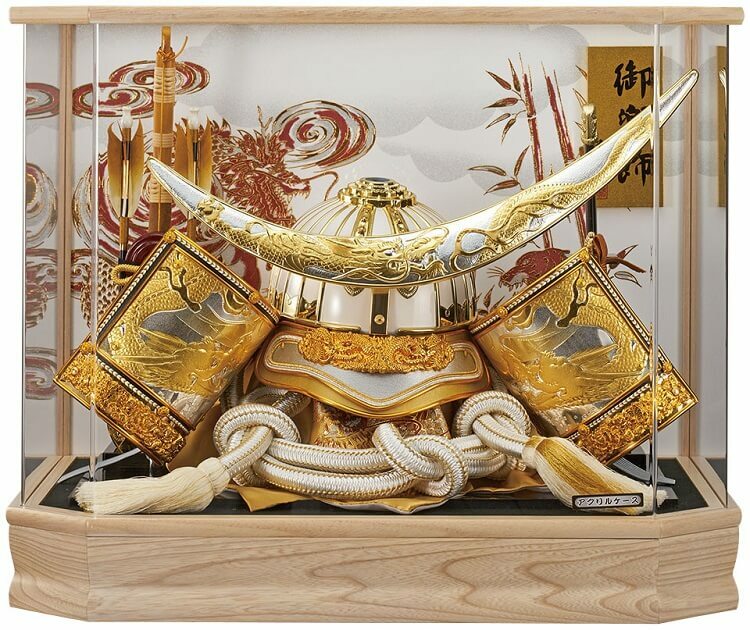 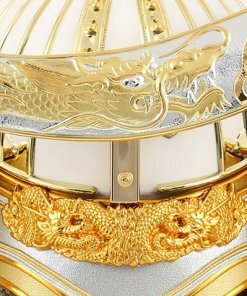 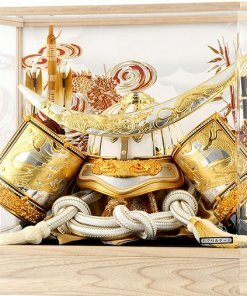 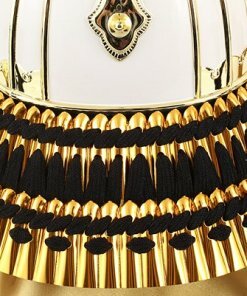 The helmet is designed with base colors of white and gold, which gives gorgeous and strong taste of Samurai warriors. 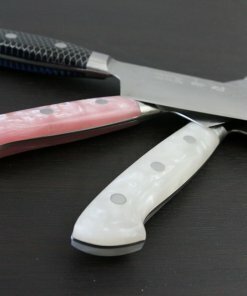 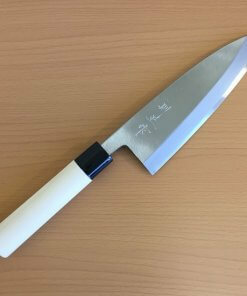 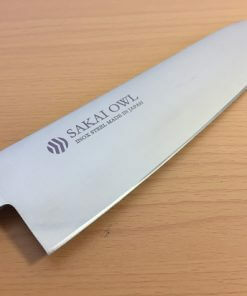 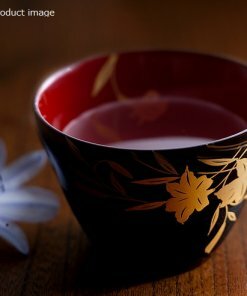 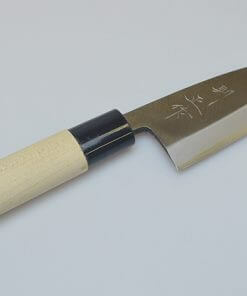 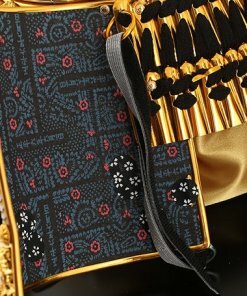 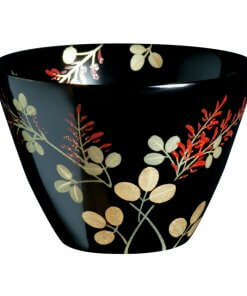 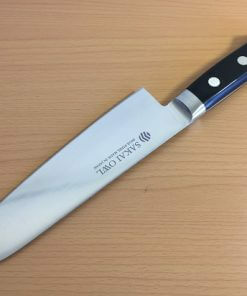 This product is all handmade by Japanese artisans. 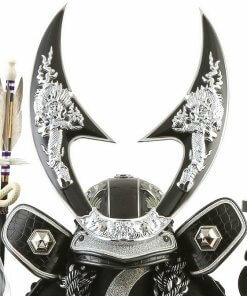 The helmet is light enough for kids to put on. 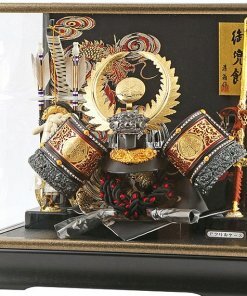 People in Japan display Samurai armours or Samurai helmets (those are called “Gogatsu Ningyo” or “Musha Ningyo” meaning Samurai warrior dolls) in their houses, wishing for the boys to grow to be strong and wise. 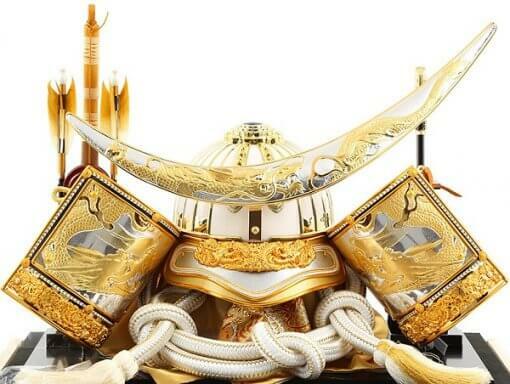 Why don’t you take a pic of your kid wearing Samurai helmet? 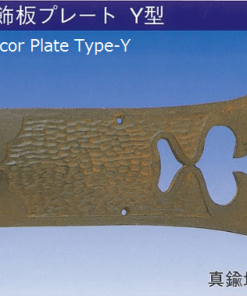 Brass Decor Plate, Type-Y, 2pcs.